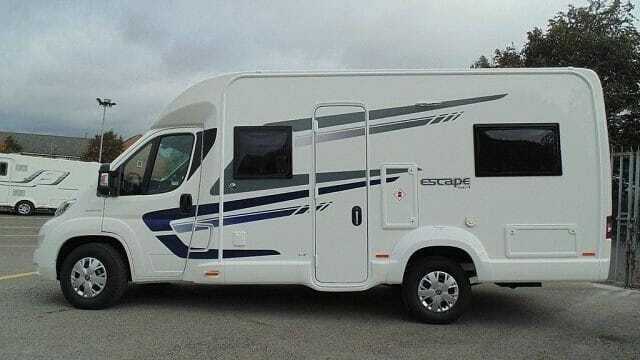 The Swift Escape 664 motorhome has 4 travelling seats with 3 point seatbelts and 2 double beds one of which is fixed at the rear of the motorhome. The front seats swivel to face the passengers. There is a fixed double bed in the back, with lots of cupboard space and a closet for clothes storage. The front dining area and sofa make another double bed at night to accommodate 4 people. The motorhome has a kitchen area which features a fridge/freezer, sink with hot and cold water, oven with gas hob and a microwave. 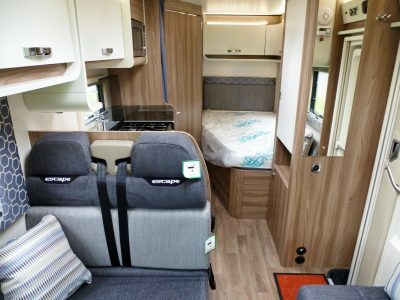 Although small, the kitchen area has been fantastically designed to accommodate everything needed for a comfortable holiday such as cookware, utensils, crockery, cutlery and food. At the rear is the bathroom which features a cassette toilet, shower and sink with hot and cold running water. The bathroom is spacious and light with plenty of room to make your holiday comfortable. 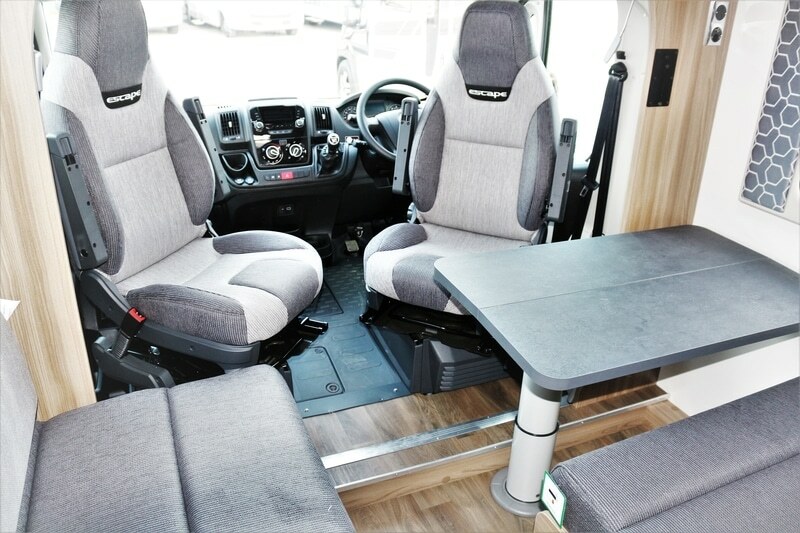 The front dinette area features a Freeview TV which is connected to a highly adjustable aerial giving you something to do when its not so nice outside. Travel in comfort all summer long with cab air conditioning to keep you co0l in the summer. This motorhome has 2 double beds, sleeping 4 comfortably. All 4 travelling seats are equipped with 3 point seatbelts for added safety. Take shade in the summer or shelter in the winter with quick to deploy roll out canopy.